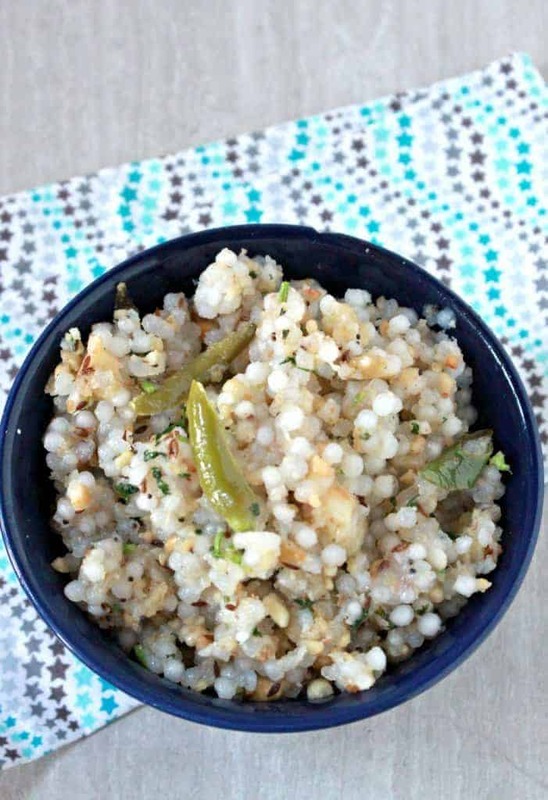 My fear of sabudana kept me away this long from making this delicious Sabudana Kichadi | Jevvarasi Upma. If you know me, you will know the fear in me about using sabudana. I love jevarasi in all form, but can never get it to cook properly. 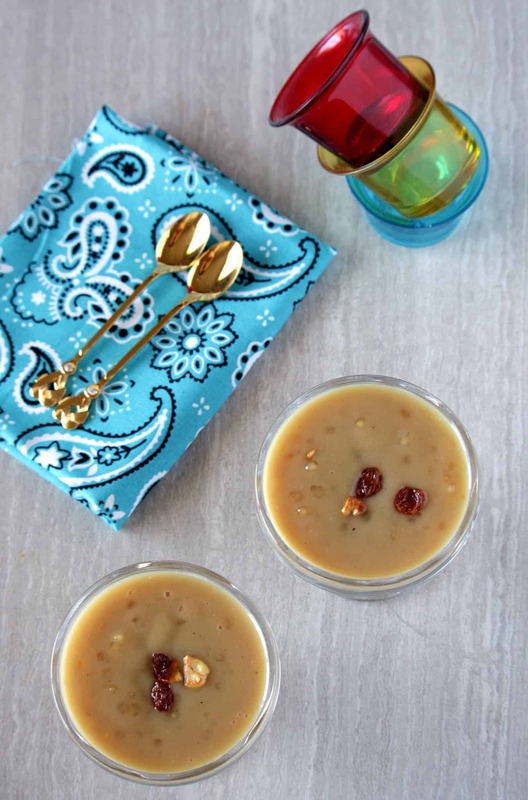 One of my favorite payasam is Jevvarisi payasam, but my milk would always curdle when making it. 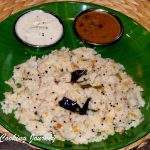 I overcame that problem by using coconut milk and made Jevvarisi thengai Paal Payasam and it worked great. 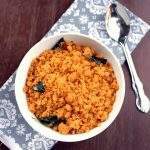 This Sabudana Kichadi | Jevvarisi Upma is very famous Vrat / Upvas / fasting recipe in Maharashtra and I have always enjoyed it when my friends make them. Yesterday, I had the pleasure to make it and enjoy it. This is a great recipe to make for breakfast as it is very filling. I did not use any onions and used potatoes and crushed peanuts. The flavors were amazing and I was so happy that I tried the recipe. The trick to making the best non sticky Sabudana Kichadi | Jevvarisi Upma, is to determine the right soaking time for the tapioca pearls / sago. It varies from brand to brand and you have to determine what works best for you. I would start with soaking the sago pearls for about 3 hours and then checking to see if they are soft enough. If not, increase the time. My sabudana almost needed overnight soaking. Wash the sabudana 2 to 3 times and then soak it in 2 cups of water. Start with 3 hours and check to see if the sabudana has softened. It should not be mushy but should crush easily when you crush it between your fingers. In that stage, drain it in a colander. It took over 6 hours for my sabudana to soften. So, next time I make it, I would soak it overnight. If using raw peanuts, roast it in a pan and then grind it into a coarse powder. Do not make it too fine. 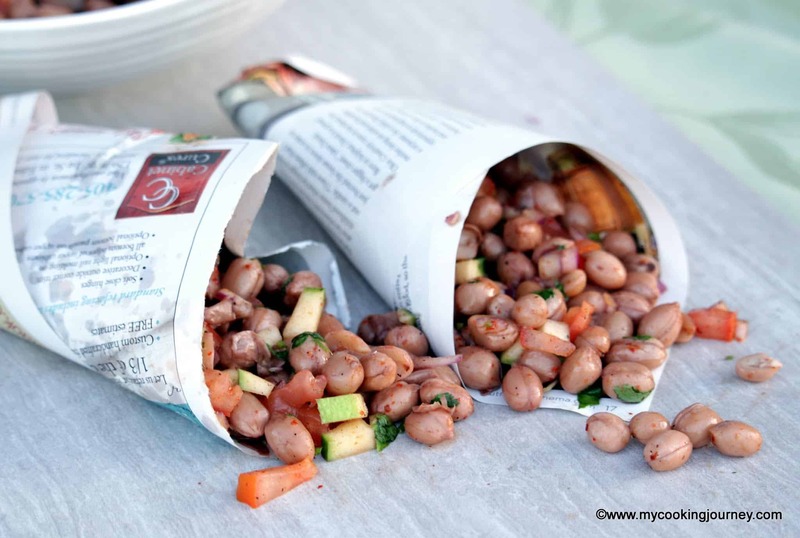 The coarse texture of the peanuts adds crunch to the kichadi. In a pan, heat oil and add the mustard seeds and the cumin seeds. Now add the chopped potatoes and cook it until it is golden brown. 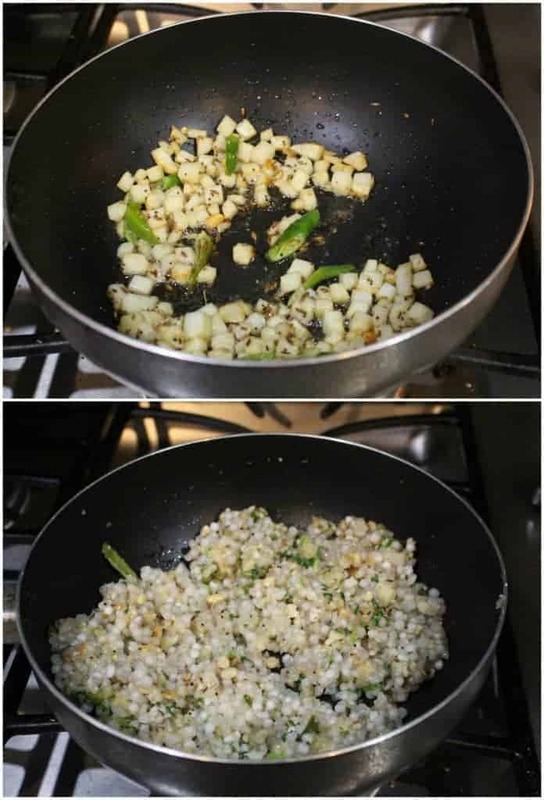 Add the green chilies and the drained sabudana along with salt, sugar and crushed peanuts and mix well. Cover the pan and let the sabudana cook for 3 to 4 minutes in low flame. 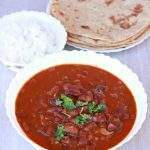 You will notice that the sabudana turns glossy when it is cooked. Add the cilantro and mix well. Turn off the flame and then add the lemon juice. Serve it warm or at room temperature. The kichadi will appear a little mushy when hot, but once it cools down a bit, it will be perfect in texture. It’s been a while since i prepared this sabudana kichadi, now you’re tempting me with your post. Looks delicious and l love the crunchy peanut along with soft sago. Love it, Sandhya. This is one of our fav breakfasts. 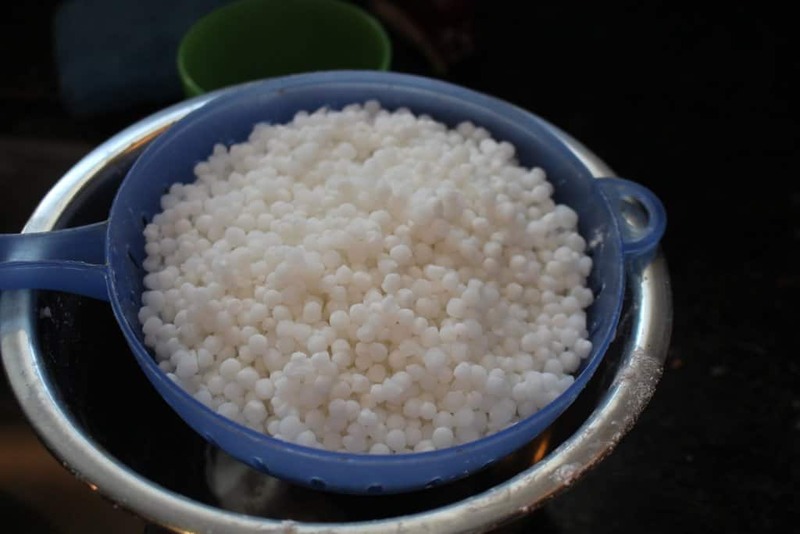 Washing and draining sago, adding a ladleful of yogurt, mixing it in, setting aside overnight – this process has been working perfectly for the past 15 years. It sure is tricky to cook these pearls , and I am always very hesitant to make them , but enjoy eating them . Your bowl looks fantastic and tempted to try soon . I too love sago and enjoy sago payasam, though I mostly never make it. 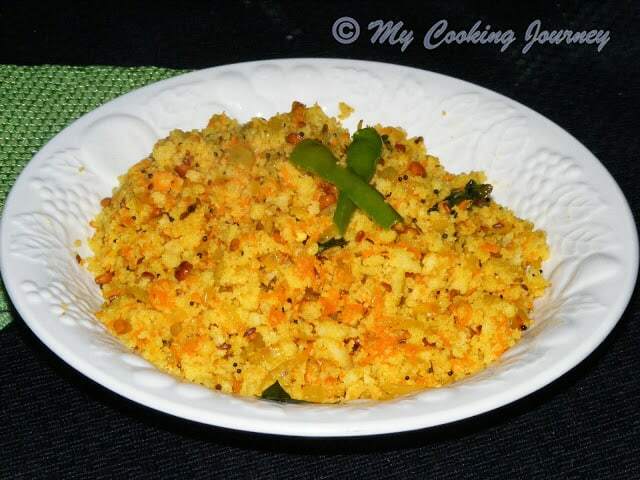 A couple of times I made this kichadi, I really enjoyed it!..I do agree on the tricky part though! In my initial days of cooking I too used to be intimidated by this dish. Like you said, the key lies in soaking for the right amount of time. 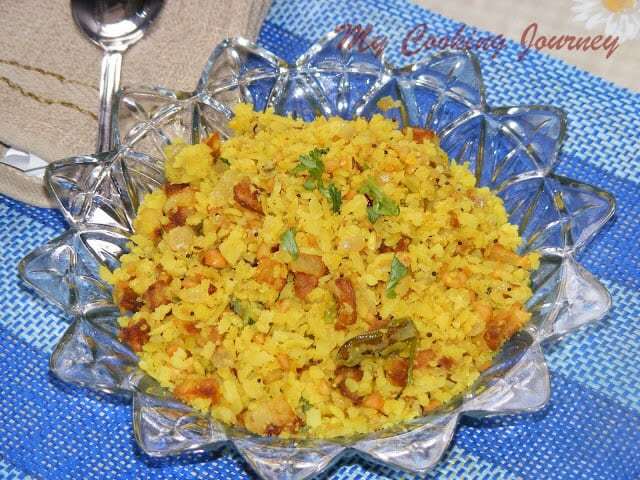 Your kichdi looks awesome. 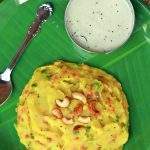 Somehow am yet to give a try to this upma, dunno why i never tried upma with sago till now. 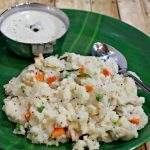 Delicious upma Sandhya. 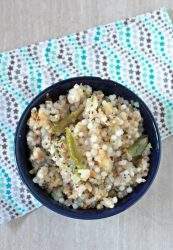 Sabudana khichdi taste amazing. A perfect breakfast or snack recipe to cook. This is also great fasting recipe using pink Himalayan salt. Try this with ghee clarified butter taste is much more awesome than with oil. I like this, but no takers at home. so not made often. I shall follow yours or Harini’s method (mentioned above) for soaking. 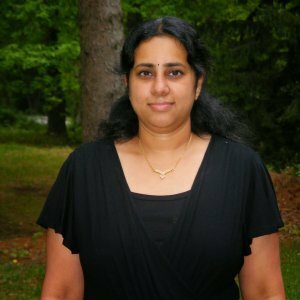 This has come out beautifully, SAndhya ! 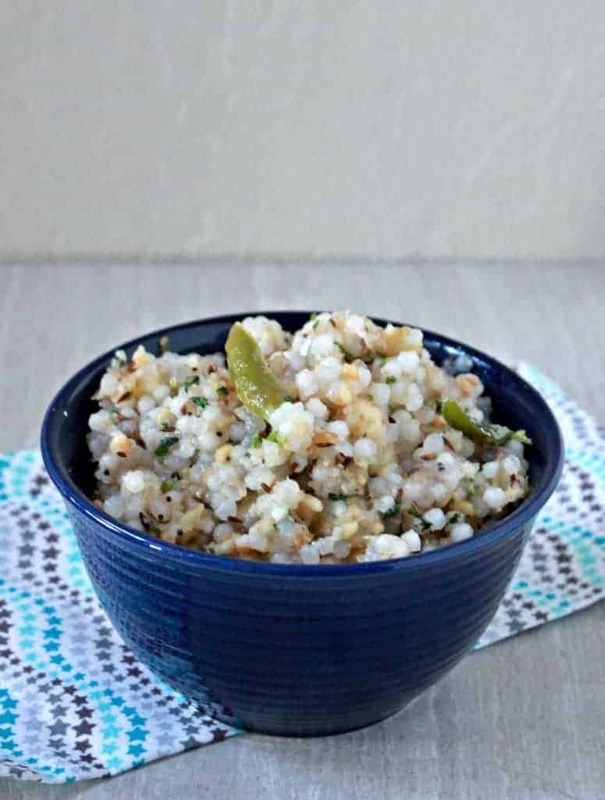 We love this khichdi on fasting days, so light, healthy and tasty. 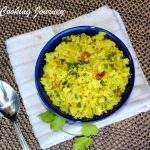 Initially, even I had the fear of making it as my khichdi used to get sticky, but after 2-3 failures I perfected the recipe. Still making this khichdi is restricted to fasting days only as on other days I forget to make it.